Classics from Cluster & Eno, Deuter and Marconi Union, and newbies from Ishq, Bing Satellites, Ishqamatics, Anaamaly, Transponder and iX7. Compiled & mixed by Mike G at Rubycon Sound, March 2019. Newbies from Robert Rich, Celer, Umber, Rhucle, Transponder, Gavin Miller and two landscaped ambient classics by Jon Mark. Compiled & mixed by Mike G at Rubycon Sound, Feb 2019. * Artwork from Rhucle's album "More Beautiful Than Silence" (Constellation Tatsu). New ambient music by Banco de Gaia, David Parsons, Sync24, Pool of Light, Biome, Astral Harmonies, Less Bells and Kenji Kihara. 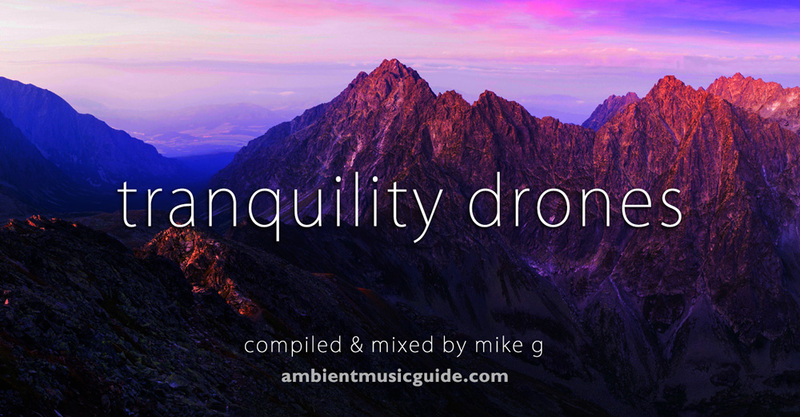 Compiled and mixed by Mike G at Rubycon Sound, September 2018.